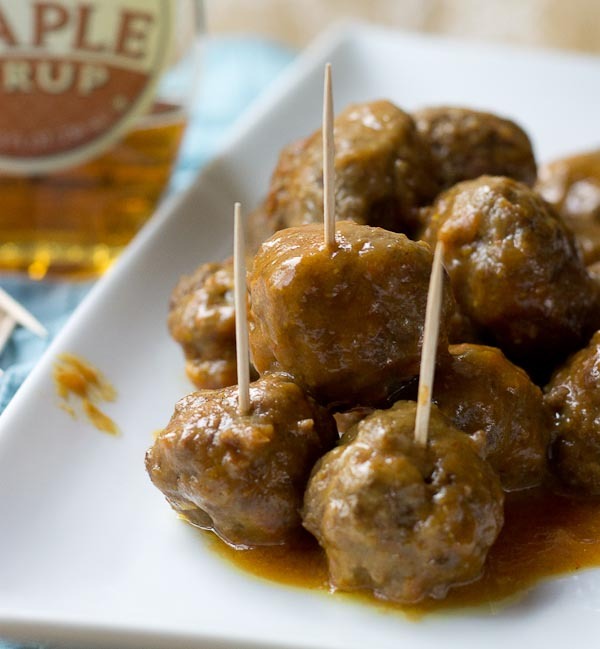 These Slow Cooker Maple Meatballs tho. Love that sweet maple flavor! Serve these up for a crowd at your next football party or meal prep them to eat throughout the week! The slow cooker does all the work. How is it Thursday already?! I guess with working a full day on Tuesday it feels like this week has flown by which is great because I’m always ready for the weekend though. We have a full weekend ahead. I’m working on Saturday morning at the Magic and have my BFF’s baby shower too. Next weekend we are dedicating Parker at our church and I’m throwing a baby shower so we are prepping for those celebrations as well. My mom is over today helping out with Parker and I’m cranking out some work and have a few nutrition clients to meet with at the office this afternoon. I’m so thankful for my mom’s help! Is anyone gearing up for the SuperBowl already? 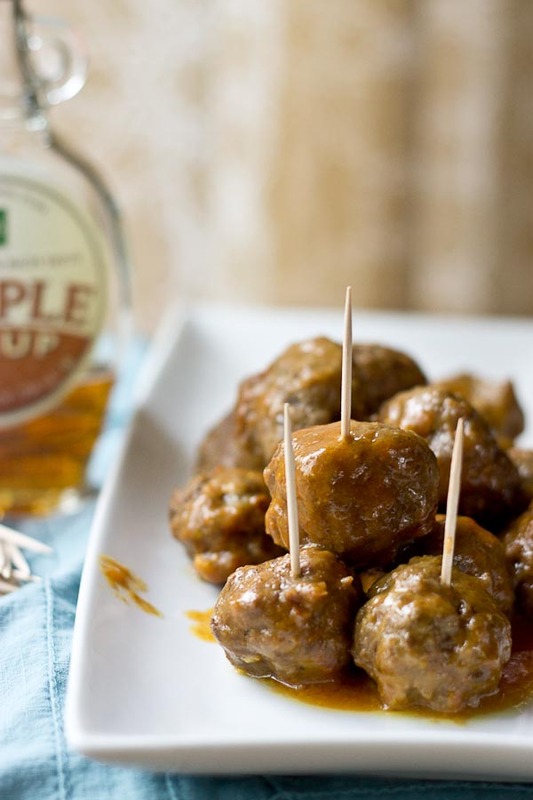 If you’re having a party at your place or going to visit friends, bring these Slow Cooker Maple Meatballs to share with the gang. 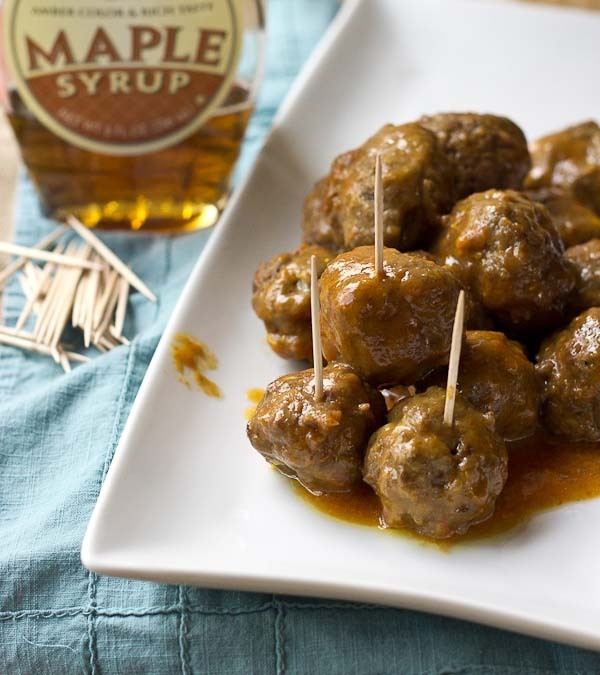 You will love the simplicity of this dish, and they will enjoy the sweet maple flavor! I also love to meal prep this recipe for a quick weeknight dinner or grab and go lunches! 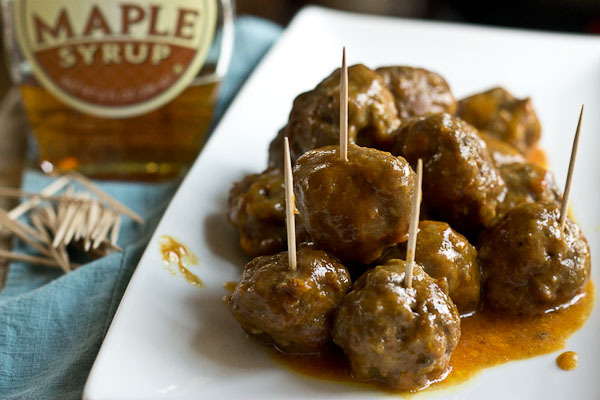 Meatballs are delicious paired with rice or over top of a salad. In other news, two new blogs that I wrote recently went live on MyFitnessPal that you may be interested in, so check them out if you are. In large bowl, mix together ingredients for meatballs until incorporated. Roll meat mixture into 18 uniform meatballs, and place in slow cooker. In a small bowl whisk together ingredients for sauce. 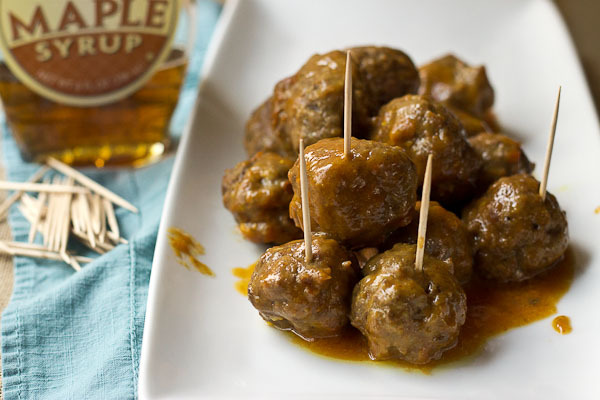 Pour sauce over meatballs and cook on low for 6 hours or until meat is fully cooked.